Our white wines are being bottled in the first week of November. The Semillon Sauvignon Blanc remains a lovely approachable blend very similar to last year. Perfect for Asian cuisine and seafood in particular. The Single Vineyard Semillon is an absolute stunner and will be labelled under the Worthington's Vineyard St Cloud label. We are delighted with the wine - the results of Liz Jackson's enormous ability as a wine maker and an almost perfect vintage for the whites. We will allow the wine to settle after bottling for about six months. Pre-orders for the St Cloud are now being taken. Be quick it wont last long! Bill Sneddon from Allandale Winery on Lovedale Road, very kindly lent me this bottle of 1978. The grapes were supplied by one 'J. Leonard'. Jack is still well known and remembered in the valley. 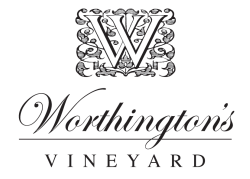 What is less known, is that Mr Leonard was the second vigneron to own Worthington's Vineyard, preceded by Allan Martin. I am afraid one can only guess what the contents tastes like - I prefer to think it would be gold, others may disagree!